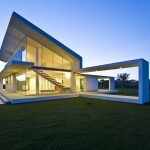 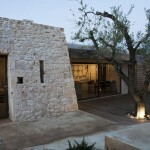 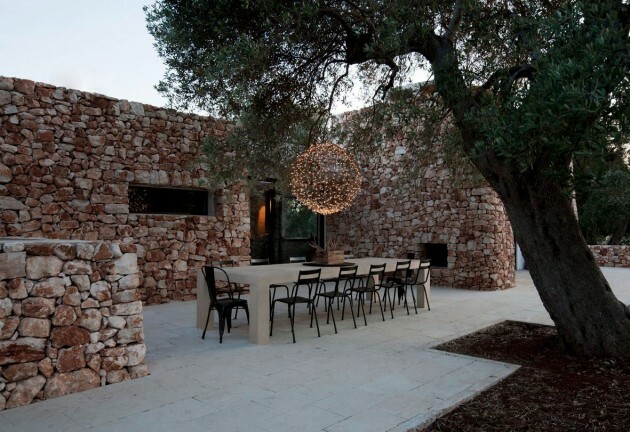 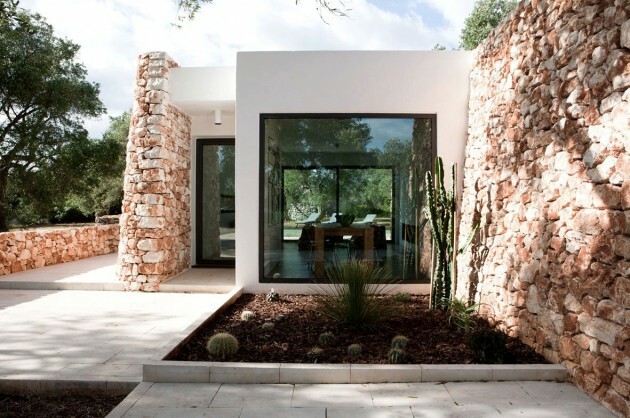 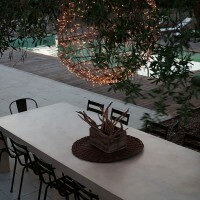 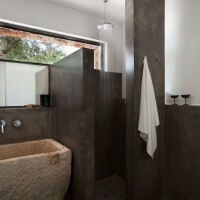 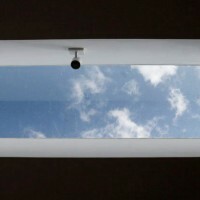 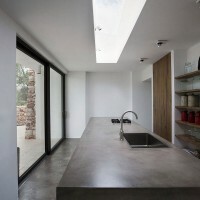 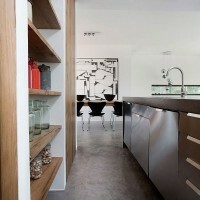 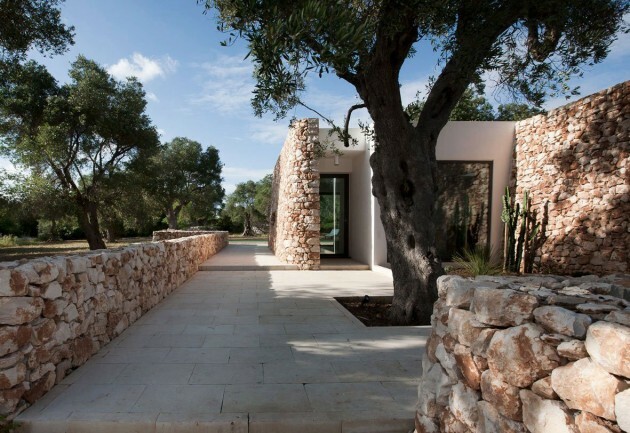 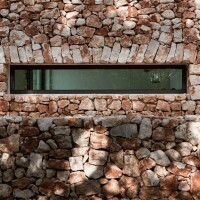 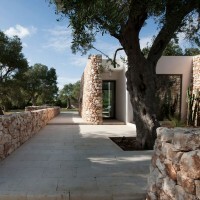 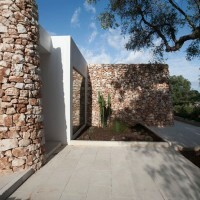 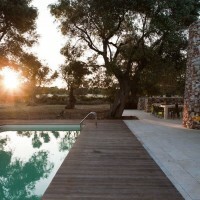 Luca Zanaroli designed a house in an olive grove in Morciano di Leuca, Italy. 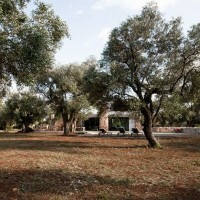 The land on which it should have been made the new building was and still is full of beautiful olive trees. 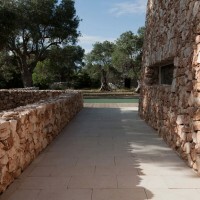 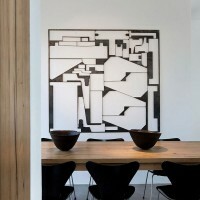 The intention of the designer was to maintain the integrity of the perception of the place without changing the natural look with explants or movement and not to alter the color effect of the whole. 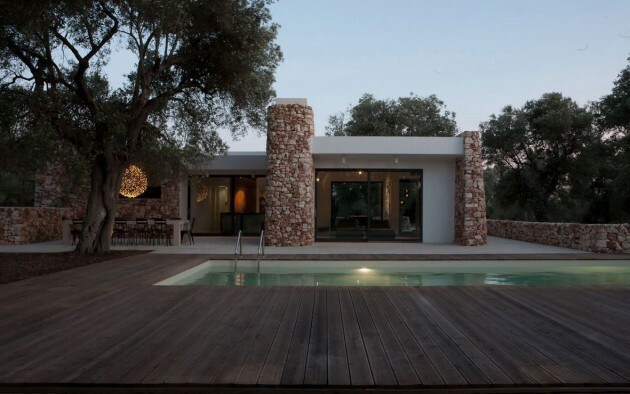 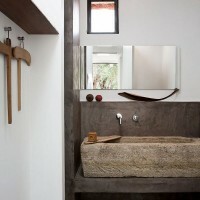 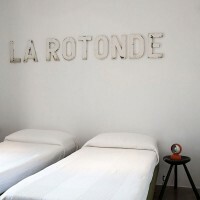 The materials used are all natural and locally sourced as the stone of Cursi for external flooring wood for the solarium pool cement mortars based on lime plaster for interior floors and walls of the bathrooms.